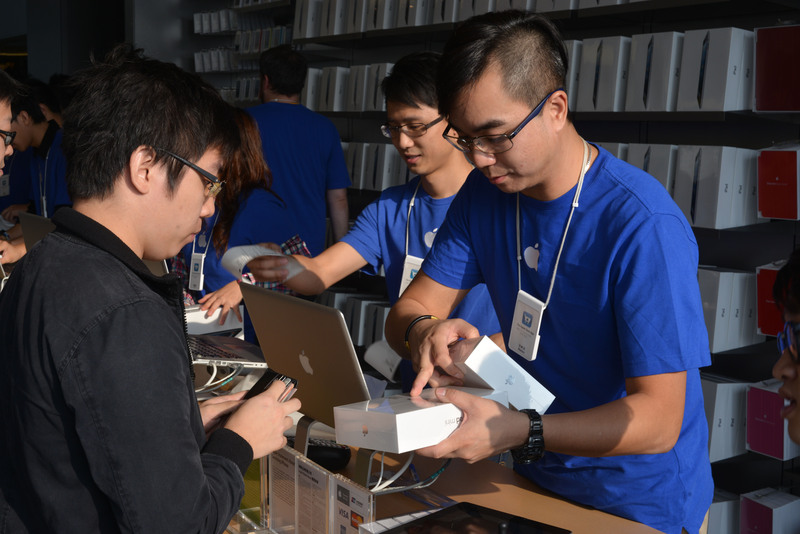 Hong Kong was one of the first regions to kick off sales of the iPad mini on Friday, but reports out of mainland China suggest that the device won’t arrive there until December. Friday’s launch is a tad anti-climactic, though, as some customers in other countries have already received the iPad mini early. The company is pursuing an aggressive international rollout though, bringing the device to 33 countries from day one. The iPad mini starts from HK$2,588 ($334) in Hong Kong. Since there’s no additional tax in the city, Hong Kong has one of the lowest prices on the iPad mini, which retails for $329 before tax in the US. Techweb expects the tablet to cost close to $400 (RMB 2,488) when it officially arrives in mainland China. Its sources have indicated that the device has already been sent to the Ministry of Industry for approval in preparation for a rumored December launch. Customers unwilling to wait the extra couple months will be able to pick up unauthorized devices that are likely to be smuggled in across the border from Hong Kong to Shenzhen. Sellers at an electronics market in the Zhongguancun area of Beijing told Techweb that they would have stock of the iPad mini on Friday for about $480 (RMB 3,000). If accurate, a December iPad mini launch in China would come close to the arrival of the iPhone 5. Apple recently received the second of three required certifications before being cleared to sell its new handset in mainland China. The company has confirmed that the device will arrive there before the end of the December quarter, and hints from insiders at both China Unicom and China Telecom also suggest that it will come in December. With the smaller iPad and the iPhone 5 on track to arrive in China in coming months, Apple may be poised for a windfall in the country. The Greater China region is already its second-largest market, having brought in a record 15 percent of overall revenue during the 2012 fiscal year.